But enough geography. Would you want to live there or go there for a daytime stroll…or a night on the town? Let’s find out. Almagro takes its name from the guy who used to own it (well, part of it) in the early 18th century: the Spaniard Juan María de Almagro y de la Torre. Yes, he was rich. At that time it was far enough from the city proper to be an agricultural area – how times have changed. It was around 1900 when Almagro began to urbanize, which it did rapidly with big influxes of Italians and people from the Basque region of Spain. These days Almagro is a busy commercial center with both hustle and bustle and lots of high-rise apartment buildings. It’s perhaps more authentically Porteño than some of its wealthier neighbors; this is the real Buenos Aires, or close to it. For those not living in the barrio, one of the best reasons to visit Almagro is the flower market on Acuña de Figeroa. It’s one of the biggest in the world. If you go on a Sunday you can also swing by the Plaza Almagro park on Sarmiento, which has a book fair on that day every weekend. While you’re in Almagro, a stop at the classy, timeless Cafe Las Violetas is mandatory. Located on the corner of Avenidas Rivadavia and Medrano, it’s been there since 1884. It was recently restored and it really is beautiful inside. It stocks the usual range of coffee, tea, sandwiches and pastries, and more substantial fare like pasta and savory pancakes as well. Almagro has a select number of options for night-time fun that might tempt you. Here are two. •	Los Sabios (Corrientes 3733). A buffet of Chinese vegetarian food…in Buenos Aires…that tastes good? You might not have thought it was possible, but Los Sabios (The Wise Ones) proves you wrong. It’s an uninspiring looking place, just rows upon rows of two-person tables, but for a seven-peso buffet of decent food you should be able to forgive inferior interior décor. •	Bar de Roberto (Bulnes 331). A snug bohemian dive bar featuring live music. What’s not to like? This is an Almagro gem that’s guaranteed to make you feel like a local (though lost tourists do occasionally stumble in). 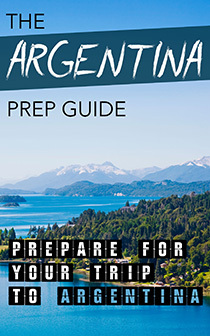 On the other hand, Almagro will be too busy and commercial for some, it ain’t much to look at, and it doesn’t offer the wealth of attractions and entertainment options that places like Palermo, San Telmo and Villa Crespo do. 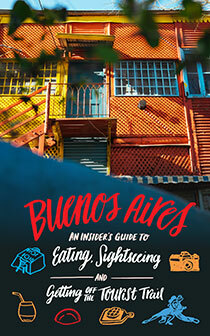 It’s no accident that tourists and expats in Buenos Aires cluster around Palermo and San Telmo. They’ve both got plenty of things to see and do, and as few of us are here forever, that makes them pretty attractive places to live or to stay while we’re here livin’ it up. Barrios such as Almagro aren’t like that, which makes them places more suited to those who are seeking a really authentic experience. And if that’s you? Well, you’ll be happy as the proverbial swine in excrement!